French Press Vs Coffee Maker - Which One Is Easier, Which One Is Better? 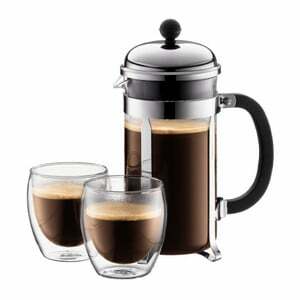 I still can remember when I saw my first French Press in a store. Still green behind the ears, I was wondering why people still buy those old-fashioned, inconvenient looking presses when a drip coffee maker is so much more convenient. But after my first sip of coffee brewed in a French Press my opinion quickly changed. So if you have ever asked yourself the same question or just wanted to know whether a Coffee Press or a Drip Coffee Maker is the best product for you, then you are here at the right place. 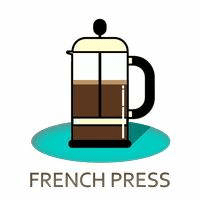 Our today’s topic is about French presses vs. Coffee Makers, their individual features, pros and cons of both machines and a buying guide whether a French Press or more a traditional coffee maker is better for you. To brew a delicious cup of coffee in a Coffee Press, a coarser grind of the beans is required to avoid too much coffee ground in your cup. Basically, the ground coffee will be placed in the press and filled up with hot water until all of the coffee is covered. Then you allow the coffee to bloom for 30 seconds before you fill up the beaker with the rest of the water. 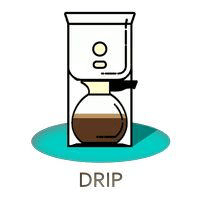 After 4 minutes, you push the plunger down carefully and serve your fresh pressed coffee in preheated cups. With a traditional Drip Coffee Maker, you basically put a filter in the chamber, fill it up with coffee and add some water into the tank. The machine then should heat up the water to the right temperature around 200F. Constant temperature is important and should always be between 195° and 205° Fahrenheit regarding the Speciality Coffee Association. How long the water is in contact with the coffee grounds is also a key factor to a great coffee flavor. Over extracted coffee tastes bitter while under extraction results in boring stale coffee without any flavor. Is now a French Press or Coffee Maker the right machine for you? Let us compare the pros and cons to help you determine which of the two fits best for you. Temperature – You boil water so you can control perfect brewing temperature. Timing Control – Aim for 4 Minutes but you are completely flexible. Filter Usage – No extra filters needed and coffee oils can pass. Mobility – Take it with you everywhere. Flavor - A rich, full bodied coffee because of coffee oils not filtered out. Cleaning – Less convenient than drip coffee maker. Grinds must be dumped and also stuck in filter. Effort – You must prepare all steps from grinding to boiling to monitoring steeping time. Consistency - Every new brew could taste different. Temperature – You must trust your coffee maker whether optimal temperature is reached or not. Timing Control – It's all in control of coffee maker how fast it brews. Mobility – Not so convenient to take it with you. Flavor - Coffee oils blocked by paper filters. In most coffee makers you're not able to influence results. Cleaning – Easy to clean since all you need to do is dump filter and clean every other week. Effort – Add coffee and water. Grinding beans improves coffee flavor (but more effort). 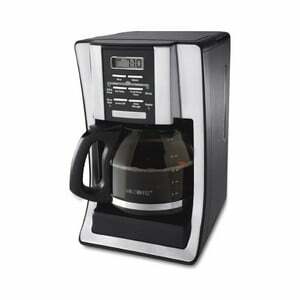 Features – A variety of features like timer, brew-strength available. Volume – Brew as much as possible and keep coffee hot in carafe. Consistency - Same quality every time (if not broken or too dirty). No Additional Accessories - You may want a grinder but nothing else needed. Read every sentence very carefully and answer it with YES or NO. Ready? I want full control during brewing process. I don't care so much about convenience. I drink my coffee now not in an hour or two. If you answered all or almost all of these statements with YES, don’t read any further and go straight to my French Press reviews. You are definitely a French Press connoisseur. If you answered one or more questions with NO, keep reading. And again, answer every statement with YES or NO. You drink more cups and want to spread them over several hours. You prefer convenience and consistency! Now did you answer all or most questions with YES? Then I guess it’s time for you to check my drip coffee maker reviews so that we can find the right machine for you. Taste is subjective. Maybe you prefer the richer French Press brew over drip coffee. Maybe you choose convenience over flavor. Is a French Press Coffee Maker or a Drip Coffee Maker the best decision? The only person who can really answer this is YOU! I hope I could help you to choose the best coffee maker which perfectly fits your needs. If I missed any feature or you have additional questions, please add your comments below. Which one would you choose between a French Press and a Drip Coffee Maker?